In 2016 we celebrated the 25th anniversary of AustroMir – the first and only spaceflight of an Austrian astronaut – and we celebrated 10 years of AustroMars. 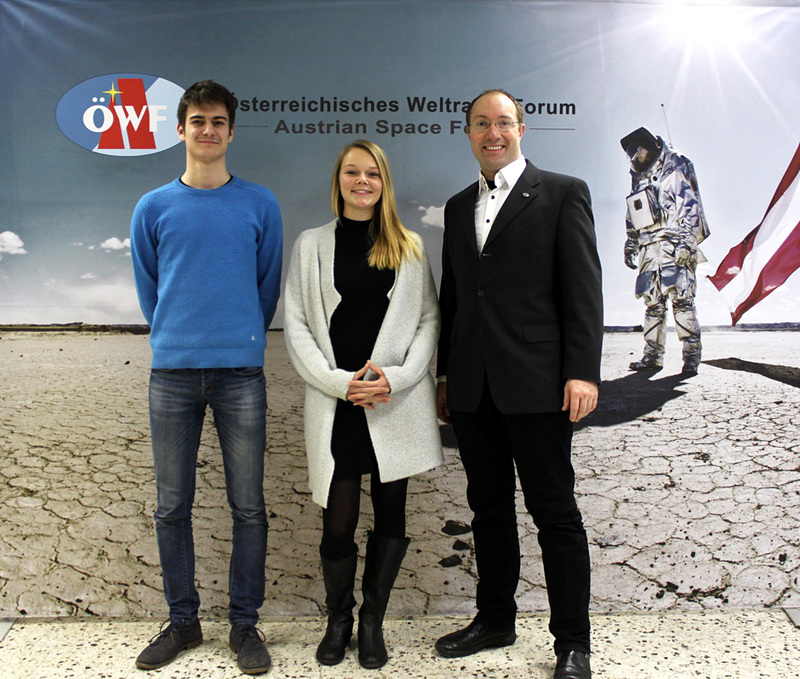 Both events shaped the Austrian Space Forum and were very present in our activities this year. A special highlight was the organization of the ASE Planetary Congress in Vienna. On the ASE Community Day we enabled more than 20,000 people a direct contact to an astronaut or cosmonaut. 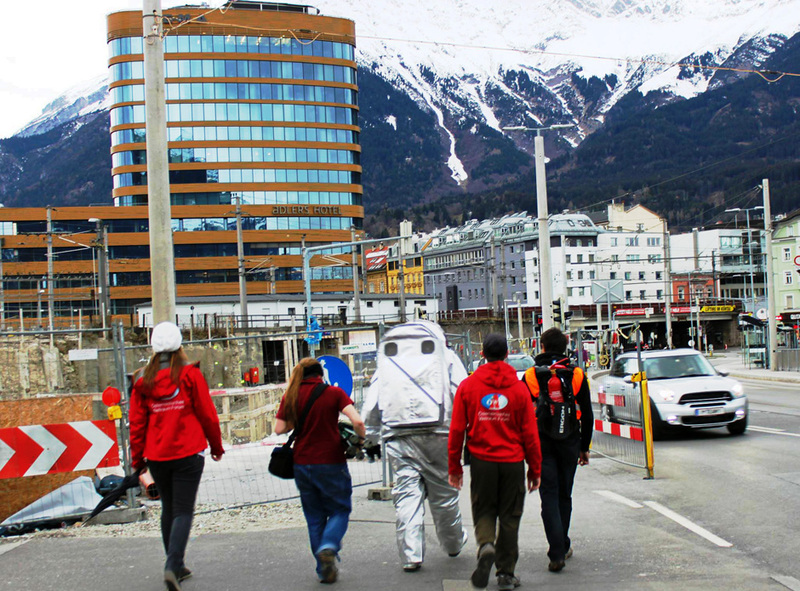 1 How about an Innsbruck city walk with a spacesuit simulator? After the AMADEE-15 mission the Aouda.S spacesuit was improved. 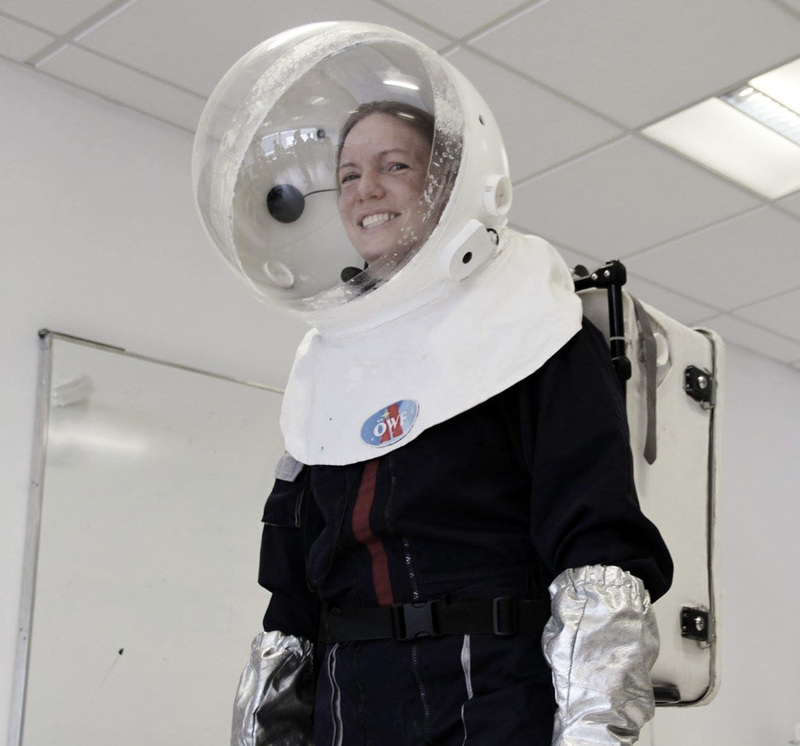 In a multi-hour test the wear comfort was checked amongst other tests with walking close by our spacesuit laboratory. 2 Learning for future Mars simulation. With the first AMBT (Advanced Mission Basic Training) we taught and learned the basics of a Mars flight controller in the Mission Support Center. 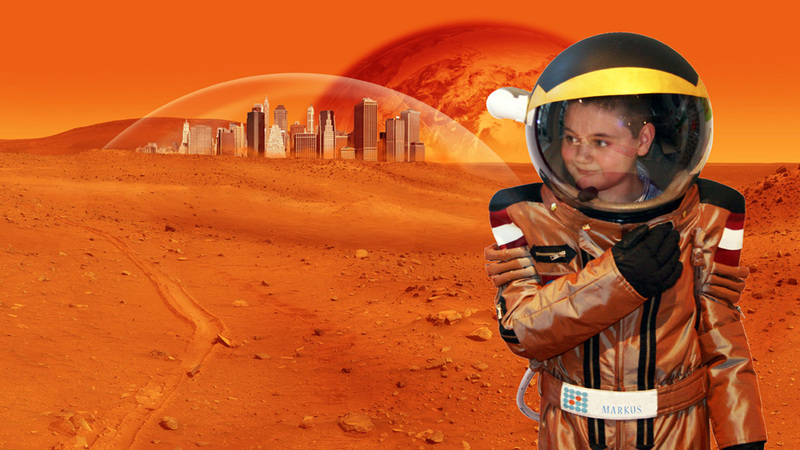 3 Children spacesuit on Mars! Also in 2016 we built a lot of water rockets, let drive our Dignity Mars Rover hundreds of meters on the Earth and conducted with students wearing our children spacesuits “Extra-vehicular-activities”. As thank you for a great afternoon we got this neat photomontage from Lykeion. 4 10 years of AustroMars. 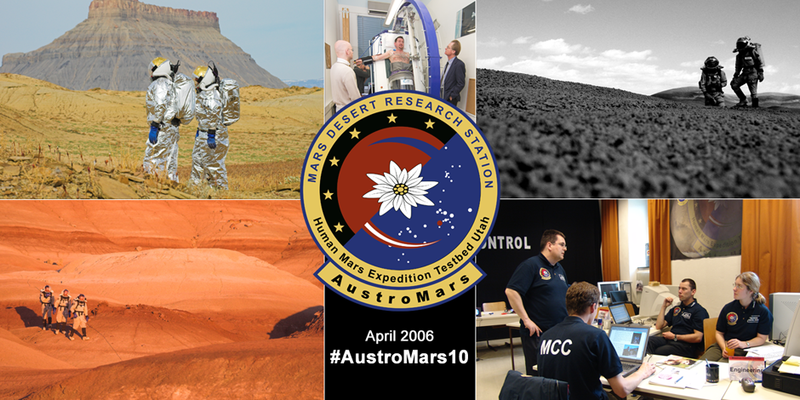 In April 2006, we conducted our first Mars simulation at the Mars Desert Research Station in Utah, USA. A very important milestone for the OeWF, which led us to deal with Mars analog research on a permanent basis. 5 Meeting with teleconference. Our members are at home all over Europe, therefore meetings and discussion via teleconference system are normal. E.g. during board meetings project leaders are connected to the discussion via webcam or spacesuit components are repaired together via telecons. 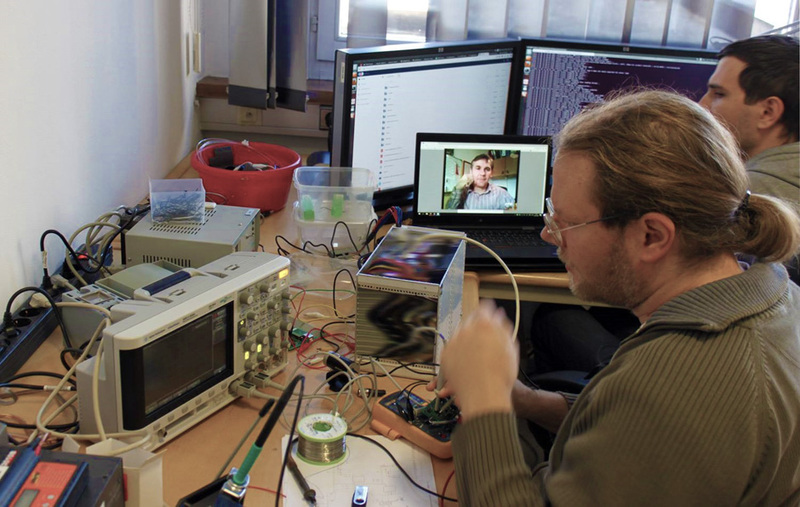 6We are strengthening analog research as scientific discipline together with our partners through the Vienna Statement on Analog Planetary Research (VSAPR). Our series of 7 infographics explains why analog research is important. 7 Practice. Practice. Practice. 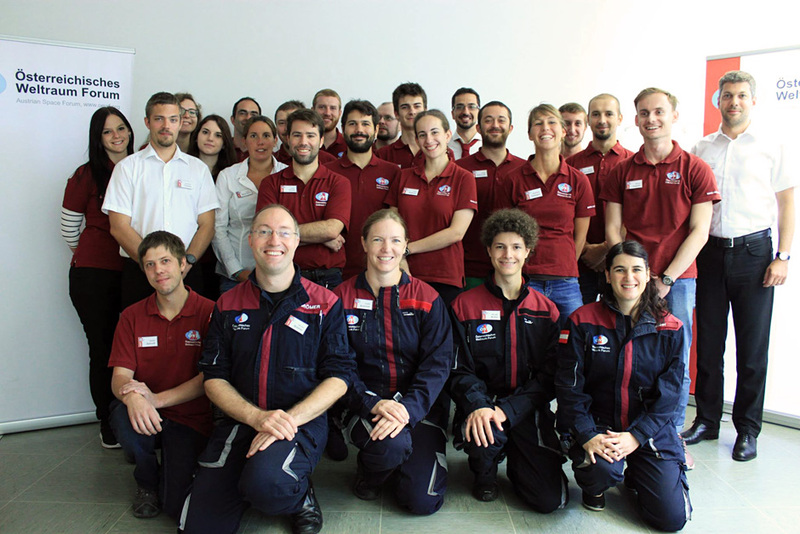 In 2016 we did not conduct a Mars Analog Mission therefore it was really important to train our procedures. Not always is our spacesuit simulator involved for training purposes, also components of our children spacesuits are perfectly capable for “Extra-Vehicular-Activity” procedure training. 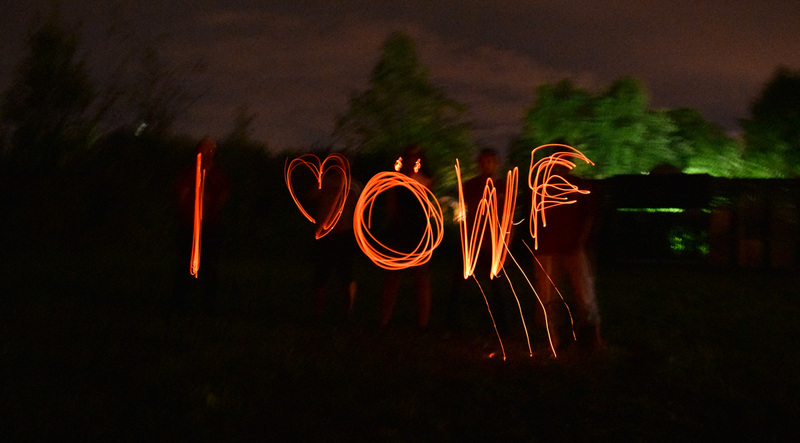 8 We do have a high demand for our OeWF internships. This year we welcomed again interns from all over Europe. Konstantin Chterev from Great Britain (left) and Lisa-Maria Madlener from Austria (middle) stayed with us for several months. 9 The AMAT (Analog Mission Advanced Training) course succeeded the AMBT (Analog Mission Basic Training). The participants specialized in one of three areas: flight controllers, flight planners and field crew. 10 #ASE29: From 03-07. October 2016, the 29. th ASE Planetary Congress took place in Vienna. 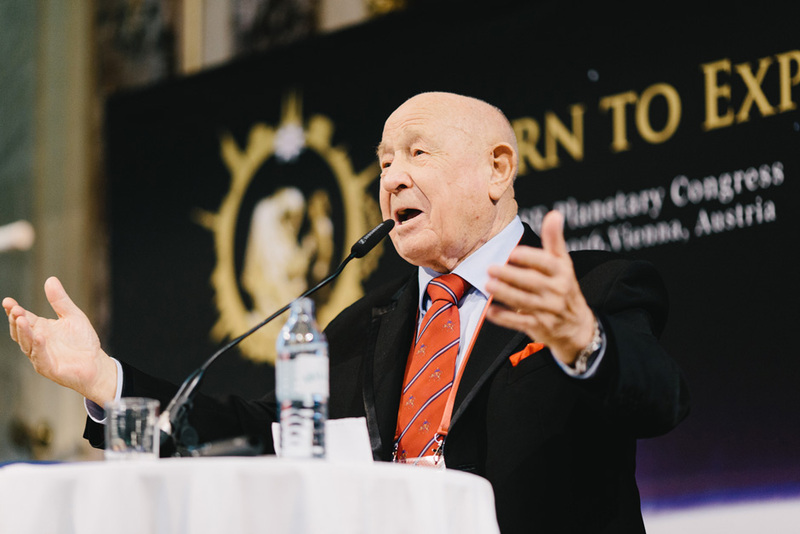 Over 100 astronauts and cosmonauts participated in the congress – amongst others also spaceflight legends like cosmonaut Alexey Leonov. He is the first human to conduct an extravehicular activity (EVA). Despite his age (82 years), Leonov held a powerful opening speech emphasizing the importance of human spaceflight. 11 Science meets Fiction. 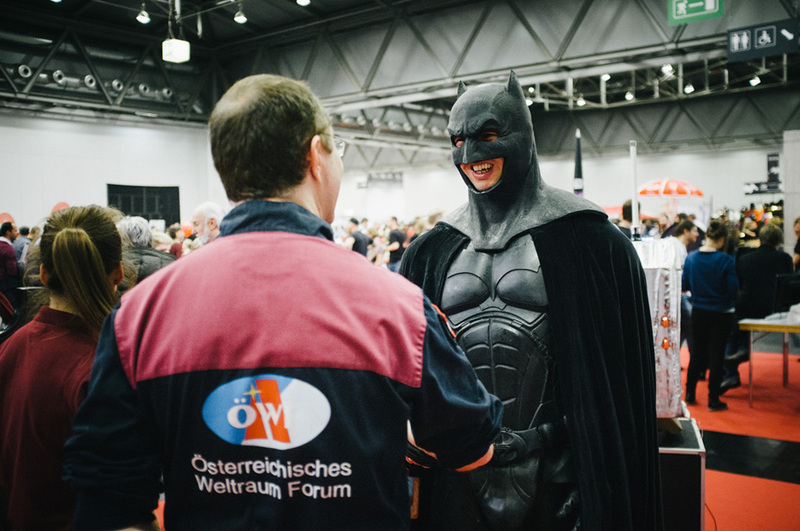 For the first time, we were exhibitor at the Vienna Comic Con. During the 2-days convention we were able to talk to a lot of visitors and explain our research. Most impressed us the positive attitude spaceflight and space sciences of all our dialog partners. 12 We enable to live the passion for space. A big thank you to all volunteers, scientist, friends and families who were involved in this year’s activities.